In Oliver Marriott’s ‘Property Boom’ (1967), a seminal book about post-war property development, he noted that the ’most sensational phenomenon’ thrown up by the office boom in the South-East was the development of Croydon; the town deemed the area worthy of the name ‘decentralised office centre’. 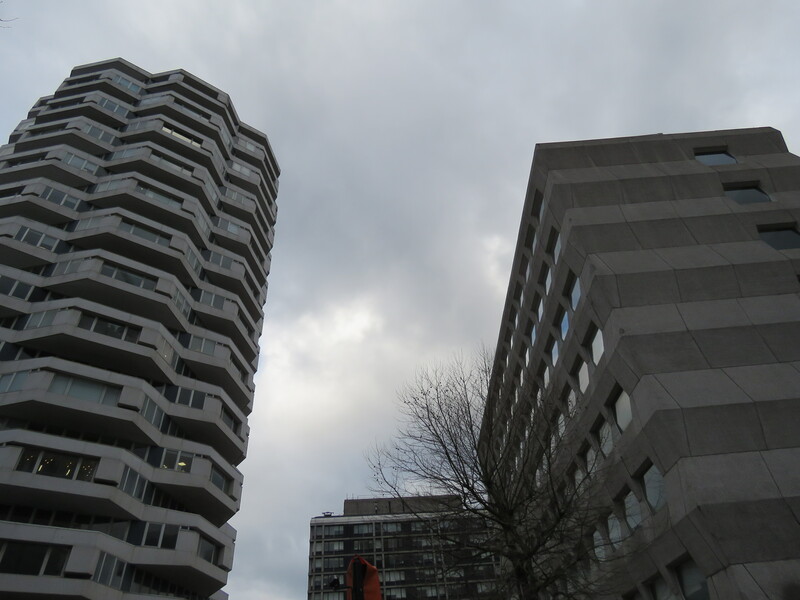 My tour will examine the best examples of post-war architecture in central Croydon, concluding with an extensive viewing of the former office block Leon House, where I will discuss the origins of this development and its recent regeneration, with the developer’s intent on staying true to the building’s modernist history. I will also share how William Mitchell’s concrete artworks have proved pivotal in bringing back prestige to this now residential site. Archive film of his working methods can be found on this British Pathe film. Dawn Pereira is a Post-Doctoral Henry Moore Fellow at the University of East London, currently writing a book about William Mitchell’s crusade to integrate architectural sculpture into the post-war urban landscape.